America’s electric grid was designed in the 19th century to bring electricity to population centers from remote power plants. To be efficient, this system gave utilities monopoly control over a local market. This limited consumer choice and participation. State regulatory bodies were established to protect customer interests, but over time many have become “captured” by the industry they were charged to regulate. The revolving door between industry and regulators is well documented. 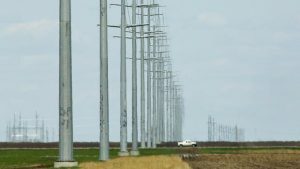 As the grid developed and expanded across the country in the 20th century, centralization was essential to bringing down the cost of service. Even today, most of the electricity we use is generated remotely and brought to population centers via high-voltage transmission lines. From there it is distributed to customers. Each element of the electrical grid is centralized, limiting choice and participation by us, the consumers. But the way we deliver electricity is changing. Distributed solar energy, wind energy, smart meters, demand management, and electrical storage are changing our electrical grids and raising questions about the rules that manage them. Efforts are underway in states across the country to reform the way electricity is generated, distributed, and used. Diverse stakeholders, including utilities, regulators, and renewable energy advocates, are participating in regulatory proceedings organized by their state’s public utilities commission. Many organizations are working to ensure that these proceedings include ample public participation, and lead to new energy systems founded on energy efficiency, conservation, climate resilience, and community-driven renewable energy. In some cases, the proceedings are broad examinations of the rules of the grid such as in New York and Maryland. In other cases, pieces of the puzzle are being looked at, like integrated resource planning in California or specific aspects of rate design in many different states. Whether comprehensive or piecemeal, it is all part of grid reform and Solar United Neighbors believes that solar producers need to be front and center in the design and implementation of the grid of the future! While a centralized system worked well for a while to subsidize and build the infrastructure so that everyone had access to electricity, it no longer makes technical, political, or economic sense. The growth of stronger, cheaper distributed energy technologies (solar, wind, energy storage, smart meters, and demand management) is creating huge new opportunities to rethink our energy system. We are beginning to see significant changes to the grid, energy markets, and the rules that govern them. 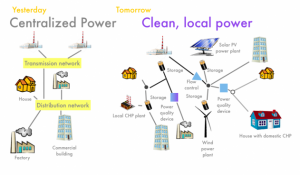 The twentieth century electricity system brought power to the masses; the twenty-first century electricity system will allow the masses to make power smarter and to share in the system as investors, owners, and managers of their usage and production. Together, these new technologies, markets, and rules can enable a more democratic electricity grid. This new grid has the potential to be much more efficient, clean, transparent, and inclusive. Perhaps most exciting, it can allow consumers to be active participants, producers, and managers of local electricity. Grid Neutrality: Principles for Tomorrow’s Electricity Sector – This report from John Wellinghoff and colleagues describes basic principles for policy and business decision-making on the grid of the future. Beyond Utility 2.0 to Energy Democracy – This report from the Institute for Local Self-Reliance describes the forces changing the electric grid, and how local control can democratize the electricity system’s benefits. A Pathway to the Distributed Grid – This report from SolarCity examines the benefits, feasibility, and challenges of moving to a grid using primarily distributed energy resources. The Institute for Local Self-Reliance’s Energy Democracy program – ILSR provides excellent information and resources about grid reform and energy democracy proceedings around the country. The Local Energy Rules Podcast – This series a great way to learn more about grid reform while on the go. 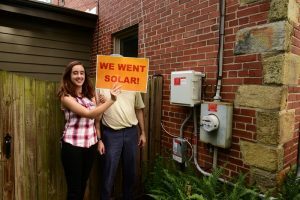 Marylanders for Energy Democracy & Affordability – This coalition of energy affordability, clean energy, and energy democracy groups is working to ensure that these principles are represented in the Maryland Grid of the Future proceeding. 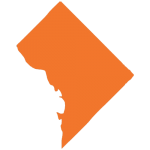 Solar United Neighbors of Maryland is a founding member of MEDA. What’s REV? Why Does it Matter? – This report from the Alliance for a Green Economy (AGREE) is a good introduction to the NY Reforming the Energy Vision (REV) proceeding. Co-op Power: A profile in cooperative ownership – A report by the Center for Social Inclusion on how low-income communities and communities of color can contribute to and benefit from local ownership. Why Race Matters in Determining our Energy Future – An article from the Center for Social Inclusion on the importance of racial equity in our energy system. Rhode Island charts a course for a cleaner grid – Rhode Island is considering a proposal on how the state can achieve a cleaner, more affordable, and more reliable energy system — one that adapts and evolves as consumer demand and technology does. Improvements in decentralized energy technology are driving big changes to the electric grid. Many states across the country are undertaking efforts to reform their energy systems, markets, and rules. In Maryland, we are participating in proceedings to ensure the electric grid is clean, equitable, and resilient. We regularly blog about how this grid would work. 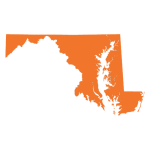 We were a founding member of Marylanders for Energy Democracy & Affordability, a coalition of energy affordability, clean energy, and energy democracy groups working to ensure that these principles are represented in the Maryland proceeding. In Washington, D.C., we are also participating in proceedings to reform the grid. Our work is in conjunction with a coalition of groups fighting for a grid that benefits everyone.